Today marks the 29th anniversary of the establishment of a federal holiday that this nation pauses to remember the life and legacy of Martin Luther King, Jr. and those that have been oppressed. 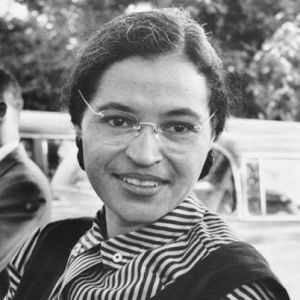 “Civil rights activist Rosa Parks refused to surrender her bus seat to a white passenger, spurring the Montgomery boycott and other efforts to end segregation [December 1955],” quoting Biography.com. “I remember and honor Rosa Parks this day. Her courage in the midst of adversity helped shape equal rights for all humans. “Neither a great man history of Martin Luther King Jr., nor a tale of forgotten underdogs, Selma is about skilled activists building a movement,” quoting Kate Aronoff, YES! Magazine. “A judge exonerated the famed civil rights protesters 54 years after they were arrested for sitting at a whites-only lunch counter,” quoting Mark Potter, NBC Nightly News with Brain Williams. “The Rosa Parks Collection at the Library of Congress will open formally to researchers on Feb. 4, on the birthday of the Civil Rights icon. The treasure trove she left behind a collection of approximately 7,500 manuscripts and 2,500 photographs could be a historical boon for generations to come,” quoting NBC News.